WaunaBUCKS is a Gift Certificate Program brought to you by the Waunakee Area Chamber of Commerce. These certificates can only be spent at Chamber Member Businesses, which means you are ensuring that those using them are shopping locally. Easy to participate and a great gift idea to support local. WaunaBUCKS is self supported, managed by the Chamber. 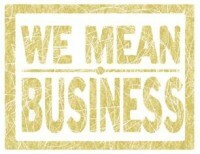 · And did you know that local businesses are known to donate more to local charities than non-local businesses? Yes, it’s true! · Certificates are processed as a check at over 150 member businesses, balance in cash or store credit. · Can be used in a variety of ways including holiday gifts, employee awards or bonus incentives, raffle prizes, thank you gifts (for teachers & coaches), birthdays, and just about any special occasion! Where can I purchase WaunaBUCKS? · Available at the Waunakee Area Chamber of Commerce located at 100 E. Main Street in the historic train depot station, open M-F, 9am-4pm or call 849-5977. · A listing of participating businesses comes with WaunaBucks! Please make an extra effort to shop local businesses. With your support, businesses will be able to continue to offer you the products and services you want. Where you shop matters and has a lasting impact on the economic vitality of the Waunakee/Westport Area! A complete listing of all Chamber businesses can be found on the website and the Chamber Community Guide & Directory. What is the Hi Neighbor Program? The Hi Neighbor Program is designed to personally welcome and introduce new residents to the community. The Chamber has been distributing Hi Neighbor welcome packets for almost 40 years. Hi Neighbor is a local program administered by people that live and work in Waunakee. How do we reach new residents? The Waunakee Area Chamber of Commerce is often a first stop for new residents in the Village. We happily welcome them in our Visitor Center at the Depot; open to the public 9am-4pm, Monday through Friday. In order to promote our community and our member businesses, we actively seek out new residents to introduce them to what Waunakee has to offer. Over 500 households annually are mailed an invitation to stop into the Visitor Center, visit with us, and pick up a welcome packet as part of our 'Hi Neighbor' program. The schools, municipal businesses, apartment managers, Waunakee Tribune, Utilities Co., Public Library, Village Hall & Village Center are all spreading the word about Hi Neighbor along with residents, realtors and business owners. What's in the Welcome Packet? The Hi Neighbor Welcome Packet provides a complimentary tote bag filled with informational brochures, coupons and promotional gifts (pens, notepads, chip clips, etc) from Chamber member businesses and organizations serving the Waunakee area. Recipients are always impressed with the quantity and quality of the information and offerings included in the packet! Why Join the Hi Neighbor Program? Our goal is to help new residents get settled quickly by connecting them to the local businesses and services they need to feel at home. 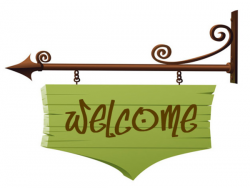 The welcome packet they take home is an immediate resource to help get them established by introducing them to the wide cross-section of services and products offered by our members. Our new neighbors know the Chamber is here to answer questions and/or provide referrals. Six complimentary months are offered to new Chamber members. Business shipping material to foreign countries are required to obtain a Certificate of Origin. The document certifies a shipment’s country of origin and attests that the goods are manufactured or processed in that country. Foreign countries consider the origin of imported goods when determining what duty will be assessed on the goods, or in some cases, whether the goods may be legally imported at all. This service is offered at NO charge to our Chamber business members. There is a fee per document for non-members and additional information/verification may be required. Contact the Chamber at (608) 849-5977 for more information.